Ament tells the Kyle Meredith With... podcast that the group needs "a good solid six to eight weeks carved out where we're just recording all these ideas that we have", while adding that that time won't be available until this fall – after they've completed their summer tours of Europe and select US stadiums. “The one thing we have working against us is the upcoming tour,” explains Ament, “the other thing we have working against us is it takes three or four months to do a vinyl version of any record," before adding, “2019 is probably safe to say” for when the follow-up to 2013’s “Lightning Bolt” will surface. 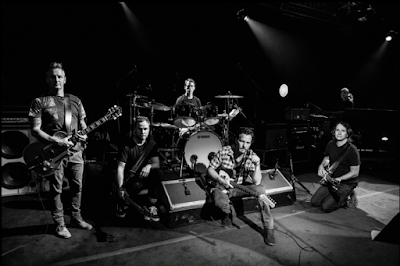 Pearl Jam will next be seen on a European tour that will begin in Amsterdam on June 12 before launching a series of US stadium shows in their hometown of Seattle, WA in August, where they have partnered with The Museum of Pop Culture (MoPOP) to host an exhibit of their 28-year history.